Our parish family felt shattered when hear our Church will be closed and that the Parish will be forced to merge with another. We rallied, organized and fought and continue to fight hard with hearts fixed on Mary and Her Son Jesus. Some of us who came together to support our effort to FIX the CHURCH and SAVE the PARISH were criticized for “COMING OUT OF THE WOOD WORK” as one news paper put it. I realized that with all the strife, the sacrifice and effort placed toward saving our beloved Church and parish, that there is so much more to it. People are coming back. Not to just our church but to their Faith and to the loving witness of Christ that exist in HIS CHURCH no matter which neighborhood the Parish resides in. I have been one of the long lost, come out of the woodwork ones the womag talked about. But you all didn’t care you didn’t skip a beat, I showed up & you’ve included and respected me like I’ve been there all along (in my heart I have) I can not begin to put into words how much that has meant to me, and I love you all for it! I’ll never be lost again I’m right where I should be now! Alleluia ! Our Church and Parish has historical significance and our Diocese has changed the locks and locked us out, but THANK GOD our Parishioners are showered in HIS ever loving GRACE and strive to share GOd’s love on earth. Over 100 parishioners and community supporters along with a number of City Councilors stood tall last night on JUNE 6, 2016 as they appealed to the Historical Commission to deny the Demolition Delay waiver requested by the Worcester Diocese. Historical Commission were not convinced the Diocese does not have the capacity to correct the safety concerns suggested by the Diocesan hired architects and that all options were explored to properly monetize the property and to make it safe. Whereas the real owners of the building, The Diocese, did not make a case for under financial hardship, the demolition delay waiver was denied. The building can stand for another 12 months to allow time for concerned parties to find a solution to FIX the CHURCH and SAVE the Parish. Repairing the building is not insurmountable. The Mount Carmel Preservation Society has been working on a comprehensive REVENUE AND OPERATIONAL plan that makes it worth 12 months to explore. The Diocese however needs to be opened to its parishioners needs in this case and willing to work with the MCPS. In addition to a very thorough presentation by the Engineering firm hired by the Diocese,pointing out serious structural issues. The Mount Carmel Preservation Society agreed there are serious matters however called for time to organize a current repair project assessment with a plan to address priority risk and move forward with ideas and tools that the parish finance committee simply did not pursue. The Diocesan representatives continued to blame dwindling parish members and weekly collections. The hearing brought light to the fact that to simply blame parishioners who for generations have committed huge amounts of money and sacrifice for their parishes, they deserve a chance to be heard and at the table when it comes to decision regarding the future of it’s church and parish. Every Church may be facing dwindling parishioners rather than blaming the parishioners let’s ask them why they are leaving. Let’s find an answer to that and find a solution(s) to get them to return to the Catholic Church. That solution(s) should be at the heart of the Capital campaign brand. If the financial committee hasn’t done that , they failed at the start. I saw brilliant testimony but most striking was the overwhelming declaration, supported by a packed Council Chamber, of the strong faith, universal holy spirit, and love of parish family and community at this hearing. To think, this went on for hours, in City Hall, people professing their heartfelt FAITH and LOVE for their CHURCH is stunning and remarkable. Now the real work begins. Is the Diocese will to Shepherd it’s people, to allow them to participate fully in regards to the destiny of their beloved parish? Time will tell. It’s in the hands of our LORD Jesus Christ. After our disappointing meeting yesterday with the bishop, Pedone, Fr. Reidy, Jeff & Al from the ineffectual and impotent finance committee of our beloved Mount Carmel I have a new take on their insistent denial to grant any all proposals to keep the Mt. Carmel property an active church. They were insistent that F. Stephen Pedone wants to keep the center as an Italian Culture Center. Yet F. Stephen has renounced his membership in the Sons of Italy, has had little if any contact with the Italian community until his arrival at our parish and his only connection is his last name. The only reason they wanted us at the table is to raise money for the center. We asked would the diocese entertain putting the land into an incorporated parish, part of the diocese with the land owned by parish not the bishop –NO. The bishop did share that in Rhode Island that is how that diocese operates. How ignorant do they think we are to once again raise money for an entity that neither respects us or allows us to be part of the process. We need to continue this process in the courts, in the city, state and federal arenas and in the public domain. No where else is it permitted to buy property and maintain it for decades and not have a right to it. The Catholic Church must start to change from the autocratic to the inclusive administration of the faithful. Today there are at least 200 communities and a million people who belong to alternative Catholic groups. There may just be another one formed if things don’t change quickly. It makes no sense to not try to fix the Church and Save the Parish. After spending over 1 million on the roof, another $120,000 plus an opportunity to work with capable parish members to fully restore the Church over a few years, wouldn’t that be worth preserving a beautiful historic church and Parish? Just imagine, in a year or more down the road, if and whatever development project emerges there, it will be nothing but slap in the face of the glorious history all the past generations, and beauty of the Church that is there today. Nothing will fill the whole of such a vibrant parish community as Our Lady of Mount Carmel . The Diocese may lease it or sell it for some pay off but it will be at the expense of loosing more members. All the while some opportunist/developers will reap 200 fold or more. That will be a huge unjust situation for all Catholics in Worcester. By the way, all churches have dwindling parishioners and crumbling buildings. Throwing “good money after bad ” was used a lot by Diocesean officials as we appealed to save the church. I wonder if this will be the new buzz phrase for which ever church is next. Think about what that phrase means to those parishioners who feel abandoned , who after having “served their purpose” are told “just go 3 miles up the road”. Why? To go and bail out that church? Mount Carmel Preservation Society has a solution but it will require openness and dialogue, however, a Diocese unwilling to include all its parishioners appears destined to fail. Activate Worcester, hosted by Ron Motta shows viewers how to participate and become active in Worcester. Ron’s guests Carmelita Bello and Mauro DePasquale , parishioners of the 80 year old Our Lady of Mt. Carmel Parish Catholic Church that was recently closed and now may be demolished chat with Ron. Once there please sign and leave a comment or a memory we love to hear and archive your memories and relationships of this beautiful and vibrant parish. Please use the tag #PreserveOurLadyOfMountCarmel as much as possible. https://www.gofundme.com/23uc7q4 and our Petition / appeal to the Bishop and our Pastor to reconsider the life of this vital and active parish and our beautiful church building can be signed here: http://www.thepetitionsite.com/952/109/835/save-out-lady-of-mount-carmel-parish-and-community/. Our Faith is strong and so is our hope and trust that God, our Father, hears our prayers, through Jesus Christ, to accomplish our goal. We are well organized, working with civil and Canon Lawyers, Engineers and would like to work with our Church leaders if they are willing, however, whether they would be or not, we are determined to muster resources and the support needed to find a solution to Preserve Our Lady of Mount Carmel Church and Parish. and now moving forward with a fund raising campaign to accomplish our goal. Will you be a Mount Carmel Angel and show us your support? We are located in Worcester Massachusetts on Mulbury Street. Our Parish is over 100 years old. For generations we have been the epicenter for Community, Youth, Italian American Culture, and Religious activities. At Our Lady of Mount Carmel you will find well attended masses, and exciting catechism programming, CCD in action, Italian Cultural education programs, Language classes, Book clubs, Senior Clubs and Societies, Art Gallery, and coffee shop. We are an Anchor to the Restaurant District and a gateway to a developing downtown in the second largest city in New England. Our Church building needs structural work from damages caused by a State Highway that was imposed too close to our building. After many years this expedited the wear and tear upon the building. Our Pastor and Bishop have closed the Church with less than 24 hours notice and they want to merge our parish with another on the other side of our City. We parishioners are dedicated to preserving both the Church and the Parish. Today we are working to save it and restore it to it’s former beauty. 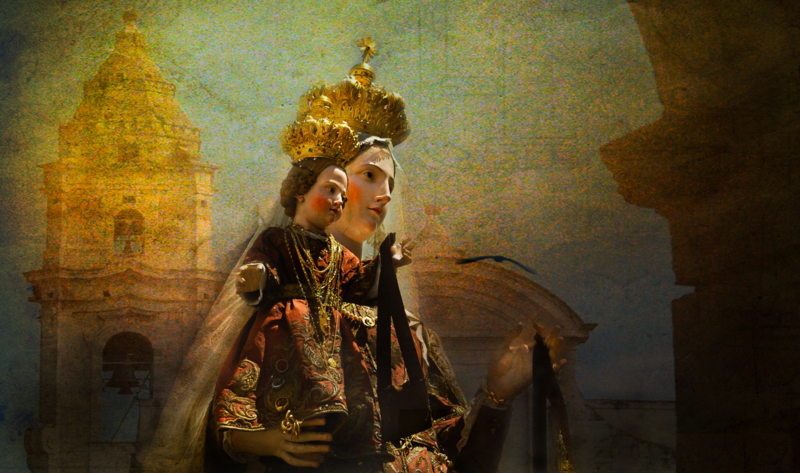 Join us as we “FIX THE CHURCH AND SAVE THE PARISH” we have formed a SOCIETY FOR THE PRESERVATION OF OUR LADY OF MOUNT CARMEL. We sincerely hope you will join us. MPS Mission and Vision Statement: The Mission of the Mount Carmel Preservation Society (MPS herein) is to FIX the Church and SAVE the PARISH on Mulberry Street. We have two priority goals to save it from demolition and to re-open the Church for Masses, to save our parish family and to continue to celebrate Catholic Masses on the Our Lady of Mount Carmel campus on Mulberry Street, in Worcester, MA. . The MPS expects to accomplish this through concerted parish wide fundraising programs, and to develop, suggest, and implement, if the Diocese is agreeable, a strong business plan that will address Our Lady of Mount Carmel Asset management and encourages an increase of parish member population, and also through educational programming and events that is focused upon preserving the Italian American Traditions, Historical significance, Italian traditions and values. MPS is a well-recognized organization playing an instrumental role in assuring the preservation of Our Lady Mount Carmel Church and Parish on Mulberry and also in maintaining a strong viable parish rooted in our Italian American Historical Heritage and traditions and Italian and Italian American Arts, History and Culture, while embracing a diversity of community participation.